When war broke out, she was ready to serve — and she moved up the ranks before you can say 'drop and give me twenty!' 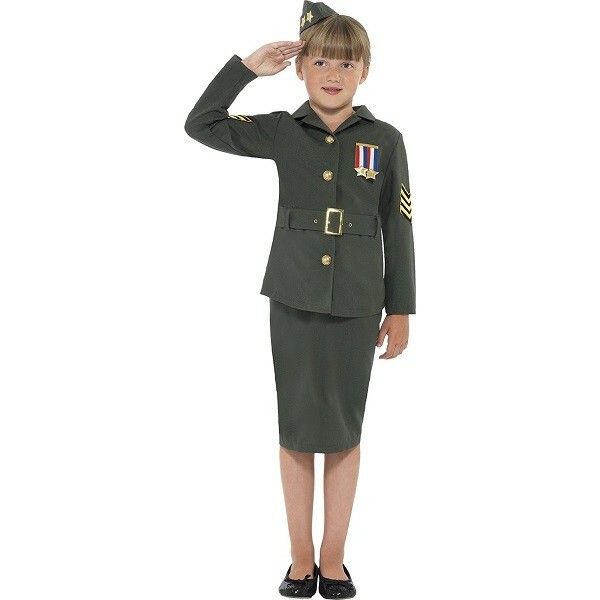 Little drill sergeants in training will love wearing this costume inspired by the groundbreaking women of World War II. This costume set comes with a jacket with attached belt, a skirt, and a hat.